I wanted to share with you the inspiration board for a project I'm working on with the Left Brain Group for the upcoming event in March called Bayou St. Blonde, which will happen here in New Orleans. The goal of this project is to create a brief, fun photo book displaying the talents and craft of the artists represented by the Left Brain Group. The story behind this project is a seance conducted by amateur spiritualists who want to communicate with their favorite hair stylists who have departed from this existence. 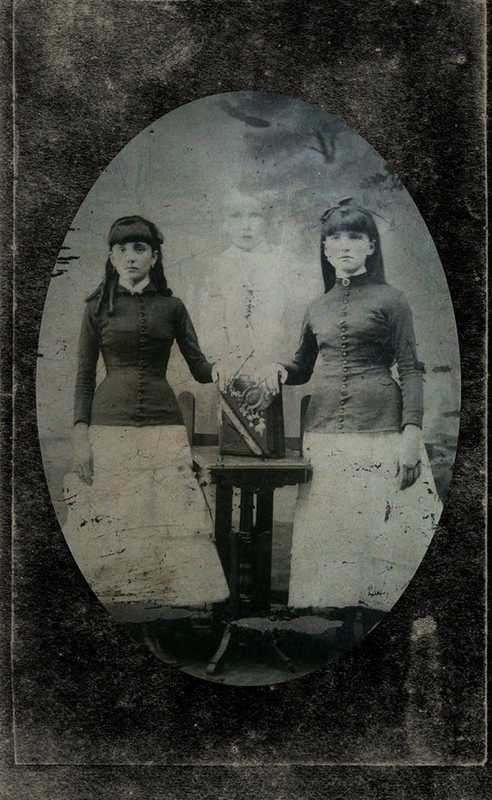 As someone who is enamored with hoaxed ghost photography from the late 1800s and early 1900s, it made sense to emulate some of the old techniques used by these talented fakers of the time. 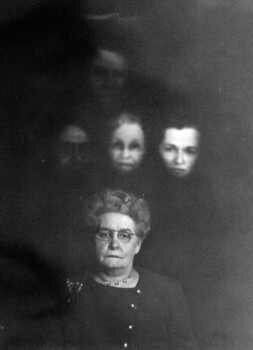 Although there is hardly any mention of the photographers who did these shoots, I thought it was time to honor the creative methods they used to create these faked images of spirit activity.